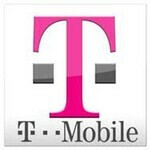 According to an anonymous source for TmoNews, T-Mobile will be running a BOGO deal on select Samsung 4G smartphones. The buy-one-get-one-free promo will allegedly kick off on Wednesday, July 11, and will run through September 9. Which devices qualify for the deal is not being specified, but the tipster claims that the Samsung Galaxy S III is definitely not on the list. That should not come as much of a surprise given that Samsung's flagship launched just a few weeks ago. Furthermore, none of the Galaxy Tabs are included in the promo. If you decide to take advantage of the deal, you will not be required to get two units of the same Samsung model. The device you will be getting for free only has to be of an equal or lesser value. Keep in mind, however, that "free" in this case means that you still have to pay for the second smartphone, but you will get your money back through a mail-in rebate. Don't forget that this is but a rumor, so if you are interested, it is advisable to give your local T-Mobile store a call before going there. Also, rest assured that we will inform you in case more details surface or if T-Mobile itself makes the Samsung 4G BOGO deal official. I love my Tmo Galaxy S3 is very smooth. tmo needs get get rid of the rebates B.S.. bust buy walmart dont do it.!!! Bust Buy? Sounds like a fun place to go to! !